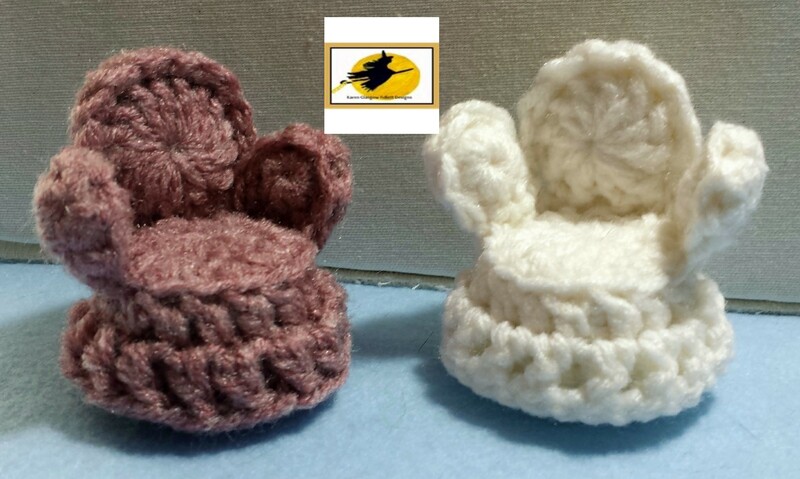 Crochet a chair that would be a welcome addition to even the most discerning doll’s house. The finished sizes of these chairs are; 2 ½ inches from base to top of chair, 1 inch from base to seat. 1 ¼ inches in seat diameter. So perfect for small dolls that delight today’s children and for those vintage small dolls that delight the adult collector! Align the side of the chair side with the side of the chair seat. With yarn and tapestry needle, whip stitch side to seat. Cut length of side as needed to align, and whip stitch chair sides together. Do not cut yarn as yet. Place desired amount of fiber fill in chair base. 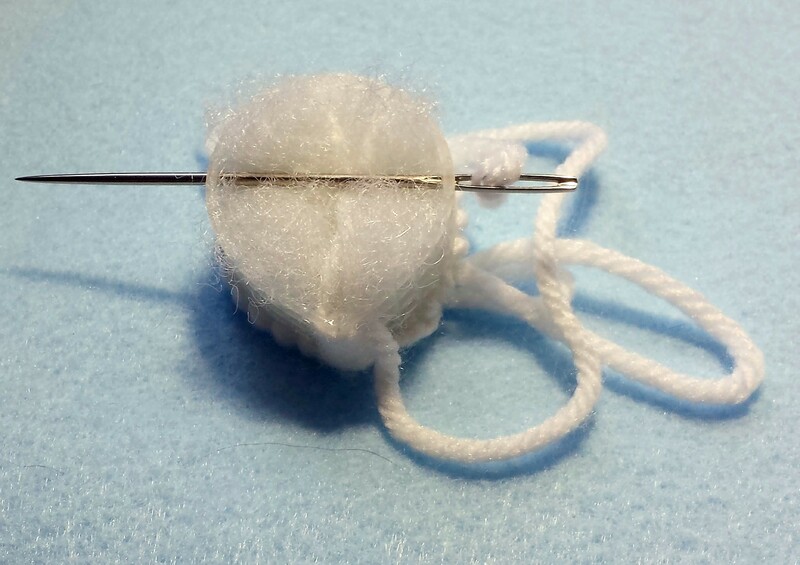 Using yarn and needle, secure fiber fill with a few stitches taken from side to side. 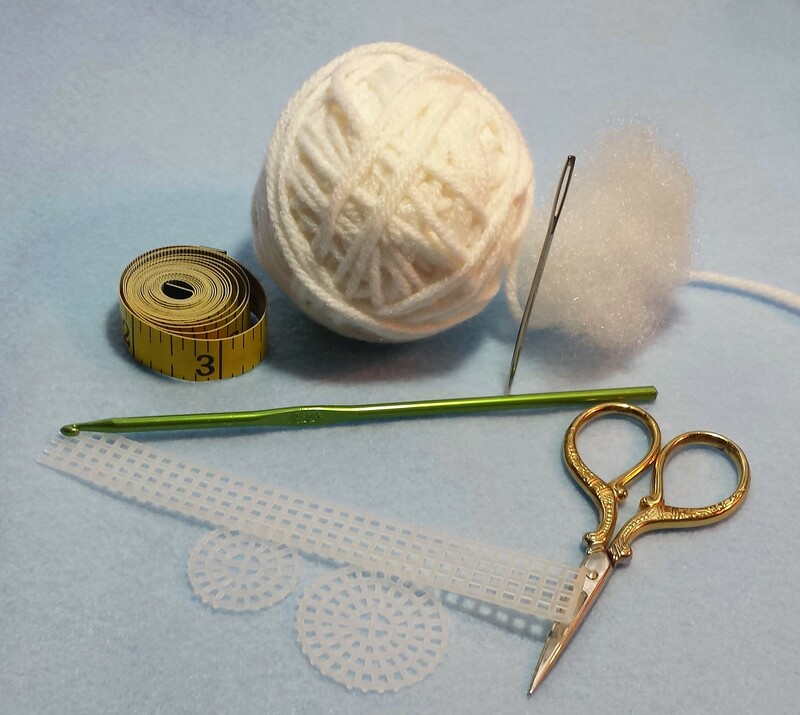 Cut and secure yarn. next stitch, 1 hdc in the next stitch* Repeat from * to * around. Rnd 3 – Ch 1, Working in back loops (BL) Work 1 hdc in each stitch around. Rnd 4 – Repeat Round 3. (15) Leaving a long yarn tail for whip stitching, cut and secure yarn. Place chair seat and sides over the chair base (fiber fill is facing up). This will be a snug fit. Place chair bottom against plastic canvas circle of chair base. Thread yarn tail through tapestry needle and whip stitch chair sides to chair bottom. Cut and secure yarn, bury ends in the chair base / fiber fill. Sandwich the 1 inch plastic canvas circle between the front and back pieces of the chair back. With long tail, whip stitch (or sc stitch) chair back pieces together. Align chair back with unworked loops of round 3 of chair seat / side. Whip stitch chair back to chair base through at least 3 stitches. Align 2 arm sides together. Whip stitch (or sc stitch) sides together. Repeat with other 2 chair arm sides. Place chair arm abutting both the unworked loops of round 3 and the side back. With long tail of yarn, whip stitch chair arms to chair base and chair back. Repeat with other arm. loop, ch 1* Repeat from * to * around. 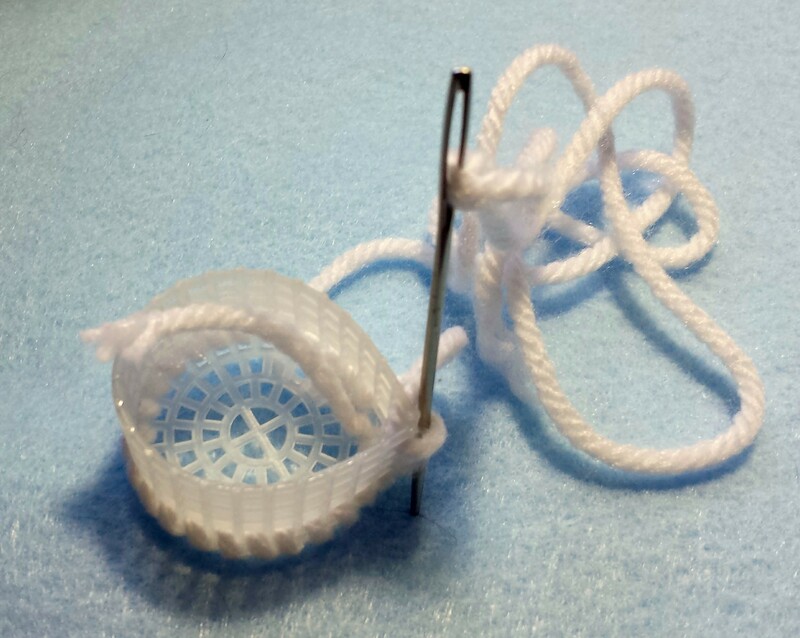 Join to beginning dc with a sl st.
Cut and secure yarn. Weave in ends.